The 2012 running of the World Series of Poker is entering its second week of action, and over the first seven day of the tournament series there has already been a lot to talk about. In this article I’ll take a look at what has transpired during the first week of the 2012 WSOP, and what players can look for during Week 2 of the 2012 WSOP. With six Top 10 finishes in the first five tournaments, and at least one more today as Caroline Hermesh has made the final table of the $1,500 Stud tournament, it’s safe to say that women are having their best WSOP in the history of the tournament series. All they need now is to break their 3+ year bracelet drought! If you’ve been following our WSOP Notebook column you know that so far the 2012 WSOP has been lacking in just one thing… Controversy! Thus far the biggest flare-up was a minor tiff between John Kim and Casey Jarzabek over a bust-out hand Tweet! We still have weeks and weeks of poker to be played in the blazing desert sun, so I’m sure at some point there will be at least one controversial moment. 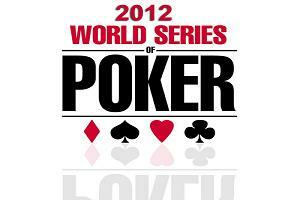 This entry was posted on Saturday, June 2nd, 2012 at 1:08 pm and is filed under Poker News. You can follow any responses to this entry through the RSS 2.0 feed. You can leave a response, or trackback from your own site.